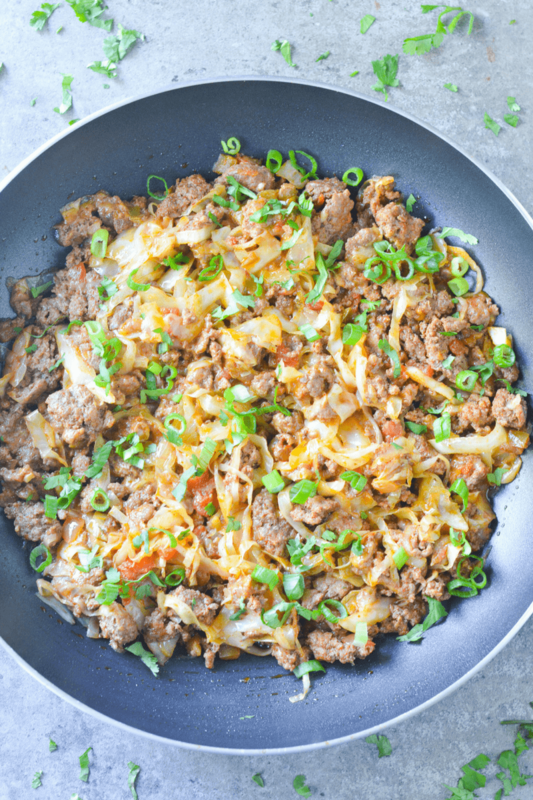 This Low Carb Taco Cabbage Skillet is an easy keto dinner with amazing taco flavor. The perfect one-pan meal for when you’re low on time! Need to put together a great, nutritious, low carb meal, but don’t have much time to cook it? This recipe is one I kind of came up with accidentally, but it’s my favorite kind of recipe. That’s because to make it you pretty much just throw everything into a pan and mix it together until it’s done. One pan meals are a lifesaver for me when I’m running around everywhere without any time to even think about what I’m going to cook. This is an easy, peasy dinner. And if your family is a fan of tacos, they’re almost guaranteed to love this recipe. 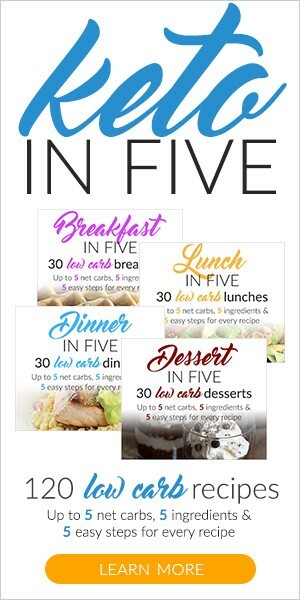 Be sure to make extra so you can actually have leftovers for lunch tomorrow! Why do we forget about cabbage? It’s a hearty vegetable that contains only 2.3g of net carbs per cup. I love it for its nutritional value and taste, but also because it’s very filling. It’s the star of this recipe and really what bulks up the dish. The macros are pretty solid, but an important note: when you cook this, your macros can greatly vary especially based on what kind of salsa you use. My favorite is Pace Organic Salsa. Made this tonight turned out good lots flavour n best of all theres enough for 2morrow night too. This was really tasty. I used my own seasoning choices. Garlic powde r dehydrated onion, and such. I also put in a large haul full of spinach to add on top of the cabbage. I did not add the salsa I put it on the side. I topped with avocado, sour cream and made some chips with organic corn tortillas. It was terrific. Easy to make and my wife and I loved it. What an interesting spin on a taco dish. Our family really loves cabbage so I’m sure this will go over well. I think I will try it out this weekend. Thanks for sharing! This was delicious! I did spice it up a bit with 2 tsp of the following: onion powder, garlic powder, cumin, and. dried cilantro along with a dash of smoked paprika and a dash of chipotle chili powder while I sautéed the meat. (I did not need to drain the fat). It was very good and hassele free to make. Used taco seasoning instead of chilli powder. Thanks for this great recipe. This recipe was amazing. I used a packet of taco seasoning instead of chili powder. We doubled up on the cabbage and salsa. We also topped with black olives, avocado, and sour cream. We loved every bite. Enough for two meals and then some. The hubby loved it as well. We loved this! My husband ate it with tortilla chips. I really enjoyed this. I used pepper jack as my cheese. I Divided it into three servings though. Next time I’m going to increase the cabbage amount so it goes further. I made it tonight and it was a hit with my family! I just wanted to let you know that we really liked this recipe. It was easy to make and had a lot of flavor. Thanks! 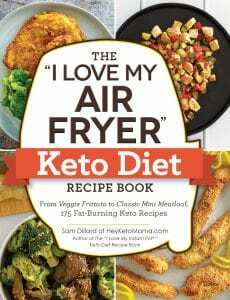 Hi I’m just starting the keto diet…How do I know how much I can eat? Do I measure out 1/4 th of a cup and that’s how much I can eat???? Sorry for the dumb question..I really want to succeed…thanks! I made this last night. It was really good. 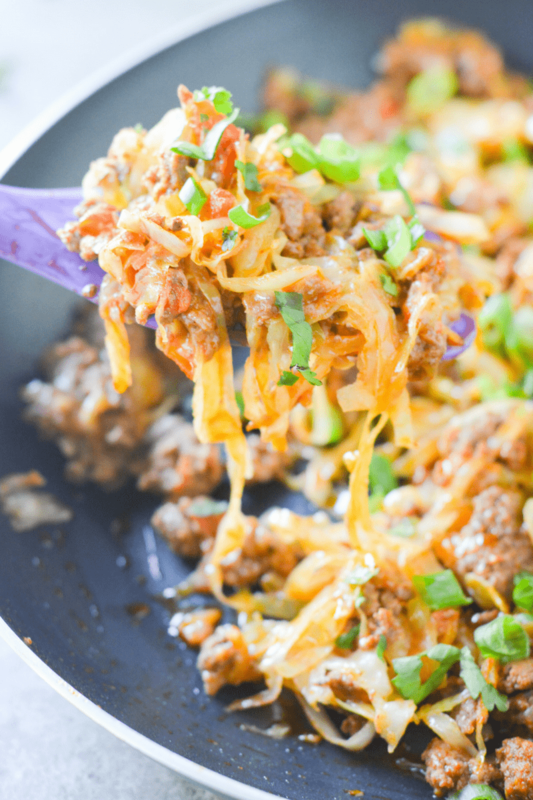 I used the pre-seasoned taco ground turkey and it turned out so yummy. Next time, I’ll probably use more cabbage though. Other than that, delish. So yummy! Thank you for a great recipe. Definitely a new staple on my weekly menu line up. Made this tonight it was delicious. Will definitely make this again! I made this recipe yesterday with two pounds of ground turkey. It was so delicious and full of flavor. I only had one fork full as I was heading out after cooking and was going to eat some when I returned. My kids said otherwise, lol! It was all gone. I now know that this is a winner for us and I will be making this again today and will eat first to make sure that I can get the full stomach that they got. I used taco seasoning instead of the chili powder. I also used medium Ortega taco sauce instead of salsa. Can you make this in a high sided stew like pot instead of a skillet. Also if I double meat and cabbage Willa it work the same? Wow. My wife and I are absolutely speechless. As with all new recipes we made it exactly the way it was given the first time and we could never see changing a single thing. Just had this for lunch! So easy and tasty. Question: does your nutritional info include toppings (sour cream, etc)? I’m assuming not but figured I would ask to be sure. Thanks!! This one has gone in my book! Made it several times now, cooking for myself and my son, who loves it. First time, he asked “What is the stringy stuff?”, and would have been prepared not to like it, if he hadn’t already eaten a bunch! Last time, I did make a minor adjustment, and added a little tomato paste, so it wouldn’t ended up watery. This is a winner, especially, since it’s so Easy!!!! I added taco seasoning, garlic and onion granules. My husband loved it. I made this tonight for lots of family and all thought it was delicious, even my three year old! I was even able to modify it for my vegetarian brother and sister-in-law by leaving out the meat on a smaller portion and cooking quinoa on the side. Thanks for the great tasting fast and EASY recipe! Did anyone try this without salsa? Would it be really bland without it? Anyone think a can of rotel would be a reasonable sub? Great! Adding this to my clean out the frig day menu! Pretty sure I will make this again. 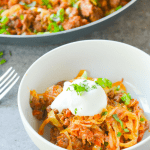 Easy, quick and good keto food! Really good and so quick to make ! This was surprisingly easy and tasty! I followed the directions exactly and it was delicious! Thanks for the great recipe!! For something so simple, I was shocked at how good it tasted! I used 4 cups of cabbage and fried it in the skillet first before adding the vegetarian ground “beef” and a full cup of our homemade salsa. A teaspoon of taco seasoning, 1 1/2 cups of shredded Mexican style cheese, and a handful of chopped cilantro finished it off! We topped it with diced avocado and sour cream. Delicious and relatively low carb vegetarian meal. I made this and it was good . I put less salsa and added a little water to help cook cabbage . Will make this again . When I read the recipe, I thought there was no way this could be as good as everyone said – there’s just not enough to it to taste so fantastic…but it does! I didn’t have any chili powder (which is weird, because I ALWAYS have chili powder), but I had a homemade taco seasoning which has chili powder, cumin, onion powder, and garlic powder, so I used that, and we added a little extra salsa. WOW it’s GOOD! I topped it with sour cream, and next time, I will slice some avocados on top, too. I bet black olives would be a good addition as well! 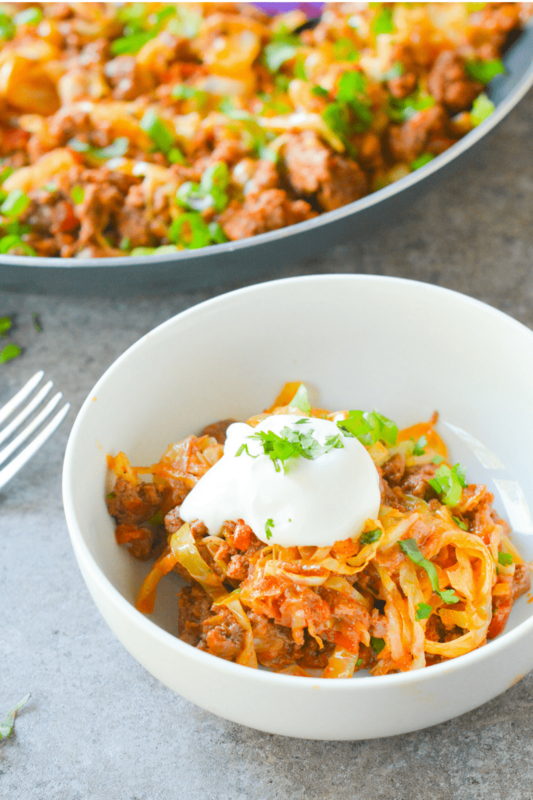 More than anything, I have missed Mexican food on the keto diet, so this was such a treat, and my husband loved it, too, so we will be adding it to our dinner rotation at least weekly! Thank you so much for sharing the recipe! I changed up a couple ingredients. Used bison in place of hamburger, and used home made sofrito instead of salsa, Still very good. I used bison and home made sofrito and it was still very good. This recipe is magic. It’s ok rotation with us now. 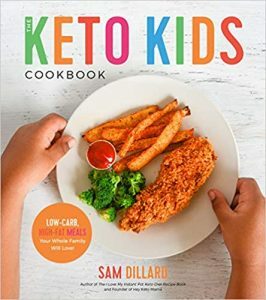 Even my non-keto son loves it. We’re doing a clean keto for January and even without the cheese it’s amazing. I doubled the cabbage though. Thank you!! Great idea i came across this recipe looking for something to uses a bag of coleslaw in. I used that in place of the cabbage. I had a pound of taco flavored ground turkey that i did not drain. Added the slaw and 4 oz of cream cheese. Yummy. Garnished it with sour cream and salsa. Thanks for the idea.